To counter threat from Reliance Jio, state-run telecom firm BSNL today launched a new plan that offers 2 GB of 3G data per day and unlimited calling within its network for Rs. 339. 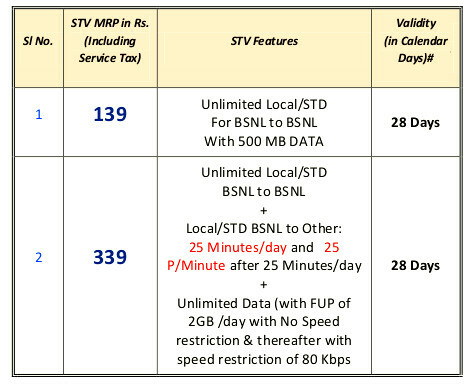 “The benefits customer will get under the Combo STV (special tariff voucher) of Rs. 339 are unlimited calls in BSNL network and unlimited data with fair use policy of 2 GB per day with validity of 28 days,” BSNL said in a statement. The offer is limited for 90 days. Reliance Jio is offering 1GB of 4G data per day per day and unlimited calling to all network for free till March 31. From April 1 onward, Reliance Jio customers opting for Jio Prime service will get unlimited data and calls till March 31, 2018, for one time registration fee of Rs. 99 and Rs. 303 per month. 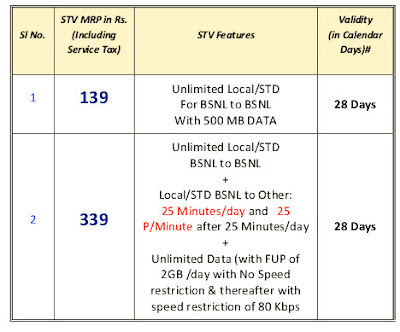 BSNL said that the data of 2 GB per day is one of the best in the industry. “We are committed to providing affordable and efficient services to all segment of our loyal mobile customers. We offer best prices to our customers considering present trend of Indian telecom industry,” BSNL Director for Consumer Mobility R.K. Mittal said.